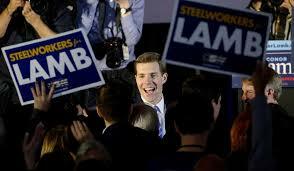 Congratulations to Congressman-elect Conor Lamb! The Allegheny County Democratic Committee is proud to congratulate Conor Lamb, the newest Representative of the 18th Congressional District! It was a race close enough to be decided by absentee ballots, but Conor extended his lead early this morning to secure victory! This was a district that Donald Trump won by 20 percentage points less than eighteen months ago – adding even more momentum to the Blue Wave that’s been unseating and retiring Republicans around the country. Thanks to the thousands of volunteers, activists, small donors, and organizers who dedicated their time and energy to making this happen. A special thanks to Conor’s great campaign team – and to Conor himself for giving Democrats here in Western Pennsylvania a reason to hope!